Instagram has quietly launched a streamlined Lite version of its Android app, designed for low-powered phones and locations with poor data connectivity. The app only supports photo sharing at the moment, with videos and messaging planned for a future update. Instagram Lite is just 574KB compared to the full Instagram app's 32MB, making it far more accessible if you can't rely on a stable connection. The new app is currently only available in Mexico, but it is described as "a simple way to capture and share the world’s moments", so we expect it to be rolled out to more territories in the coming months. “We are testing a new version of Instagram for Android that takes up less space on your device, uses less data, and starts faster," an Instagram spokesperson told TechCrunch. 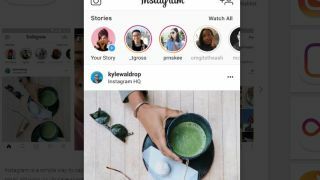 The launch comes just days after the arrival of Instagram's new long-form video app, IGTV. The new platform lets regular users post videos up to 10 minutes in length, while celeb users can keep their cameras rolling for up to an hour. IGTV will chew through mobile data like an Instagram influencer through avocado toast, so it's good to see that the company hasn't lost sight of users who don't have that luxury. Instagram's parent company, Facebook, launched a pared-back Android app back in 2015. Facebook Lite was initially restricted to countries known for patchy mobile mobile data coverage, but is now available worldwide.